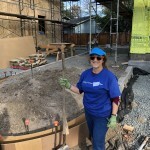 The OFJCC Center for Social Impact offers programming to help those in need, including a recent trip to Santa Rosa to help build a home for low-income residents. Participate in programs that help those in need on Monday, January 21, 2019 at Mitzvah Day. It was a little over a year ago that wildfires ravaged Sonoma and Napa Counties. The Coffey Park area in Santa Rosa was especially hard hit—over 1400 homes were destroyed in the neighborhood. 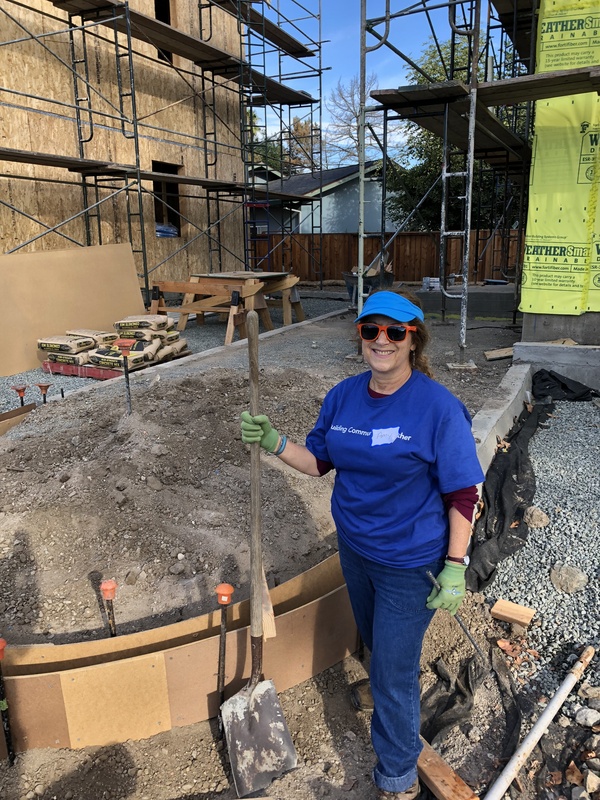 On Sunday, October 28, I participated in a “Raise the Roof” event with Habitat for Humanity in Santa Rosa, along with about 30 other people representing the OFJCC, PJCC and the Jewish Federation. I rode the bus up, leaving the PJCC at 6:45 in the morning. We shored up curbs, installed rebar, moved rocks and poured concrete. I learned quite a bit about construction; I had no idea what rebar was or how much concrete is needed to make anything! It took over 800 pounds just to build a small curb. I was glad I was wearing work gloves and pleasantly surprised I didn’t end up with blisters on my hands. We talked about why we volunteered that day and the sadness and helplessness we all felt as the fires raged on. I brought up Camp Newman, which was my daughter’s home-away-from-home for over 10 years. Before heading home, the bus driver drove us through the Coffey Park area, just a few blocks from where we had worked. There were a number of homes in various different stages of construction but there was still a lot of empty space where homes once stood. We also saw several burned trees—stark reminders of those days. All in all it was a tiring but fulfilling day. It felt good to help those in need. I was very grateful I had a warm, comfortable bed to sleep in that night. 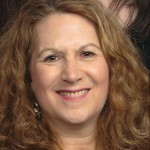 Amy Shulman is the Web Services Manager at the Oshman Family JCC. An empty nester, she lives with her cats Tuna & Mya. She loves traveling, paint nights, dancing and listening to music. She also loves her job, but not her commute.